What It’s About: Each Toy Story film involves the idea of toys that come to life whenever humans aren’t around, and each film puts the toys into a crisis they must work together to solve. This time the crisis is that their owner is growing up and they must prepare for their final fate-ideally being sent together to the attic, where they can await the possibility that Andy will give them to his children to play with, but they are threatened with being given away, sold, or simply discarded. When a mix-up results in the toys being put, not in the attic, but in a donation box going to a preschool, the toys must find a way out and back to Andy and the relative safety of the attic. Why Watch it Today? : Teddy Roosevelt famously refused to shoot a bear cub today in 1902, lending his name to stuffed toy bears forever after. A couple of years ago I featured one of the strangest teddys, Canada’s own The Pit, but Lotso (Ned Beatty), the bitter, discarded Teddy that runs the preschool’s toy collection like a prison, gives Teddy in The Pit a run for his “most evil Teddy Bear” money. 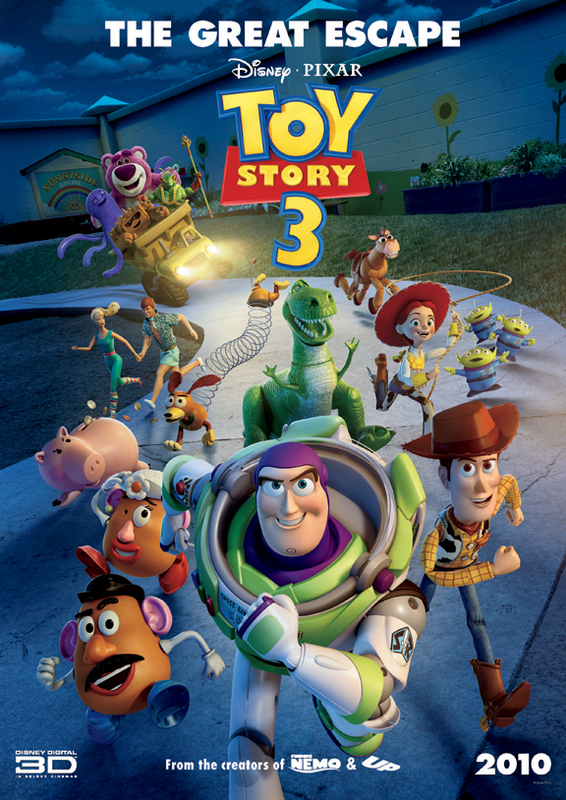 This entry was posted in Adventure, Animation, Comedy, Computer Animation, Family, Fantasy, Movie of the Day, Prison, Sequel and tagged Andrew Stanton, Best Adapted Screenplay Nominee, Best Animated Film, Best Original Song, Best Picture Nominee, Best Sound Editing Nominee, Bonnie Hunt, Don Rickles, Estelle Harris, Jeff Garlin, Joan Cusack, John Lasseter, John Ratzenberger, Laurie Metcalf, Michael Keaton, Pixar, preschool, prison, prison break, prison warden, R. Lee Emery, Randy Newman, Richard Kind, teddy bear, Tim Allen, Timothy Dalton, Tom Hanks, toys, Wallace Shawn, Whoopi Goldberg.